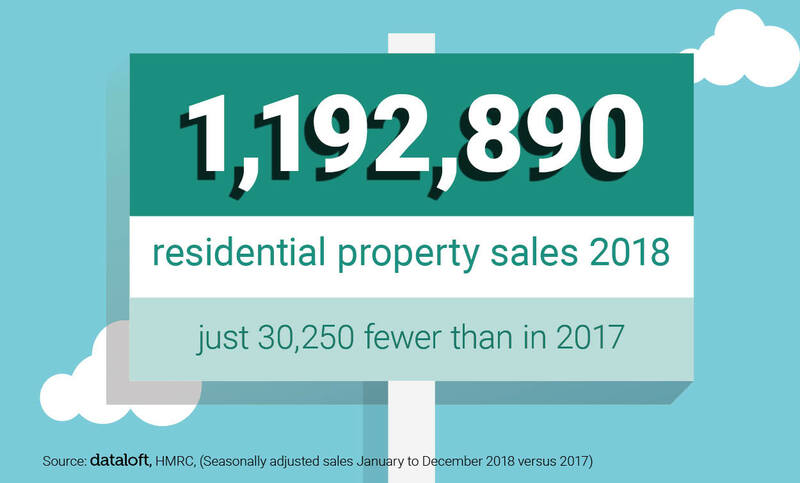 Just below 1.2 million residential properties changed hands throughout 2018 according to data from HM Revenues and Customs. Despite talks of a slowdown in the market, this is in fact just 30,520 fewer than during 2017. The end of 2018 provided some seasonal cheer. 204,800 sales are estimated to have taken place in November and December, the highest bi-monthly figure since March/April 2017. Despite the current uncertainty, sales volumes remain considerably higher than during the economic crisis. Transaction levels in 2018 were 41% higher than in 2009.